API 17 A Winter session 2013 Report. 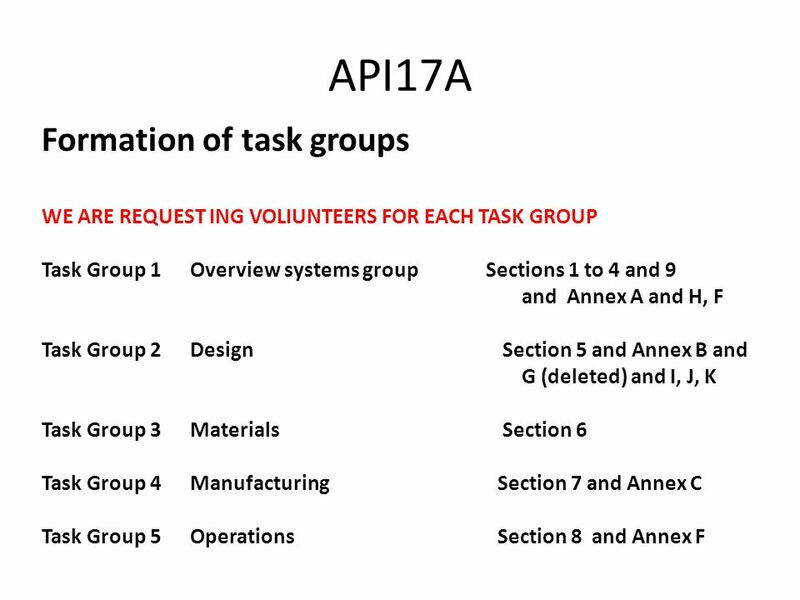 API17A Formation of task groups WE ARE REQUEST ING VOLIUNTEERS FOR EACH TASK GROUP Task Group 1 Overview systems. 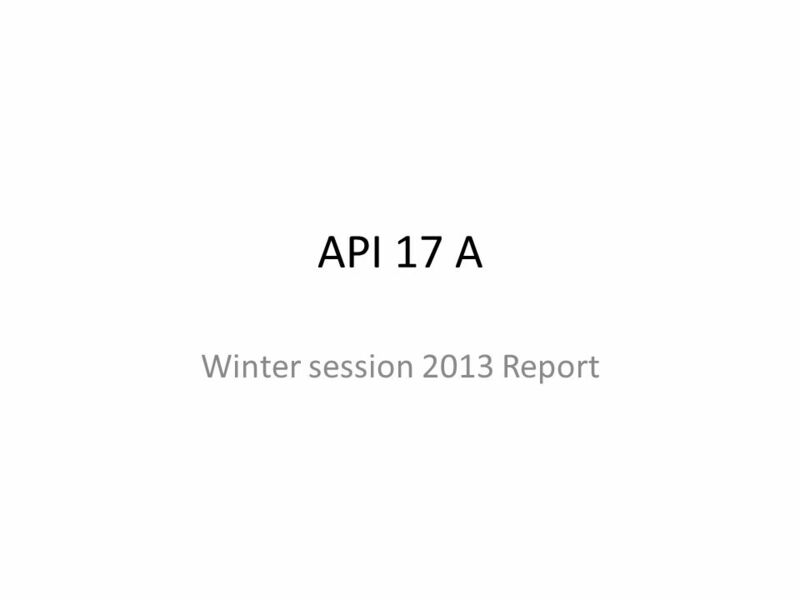 Download ppt "API 17 A Winter session 2013 Report. 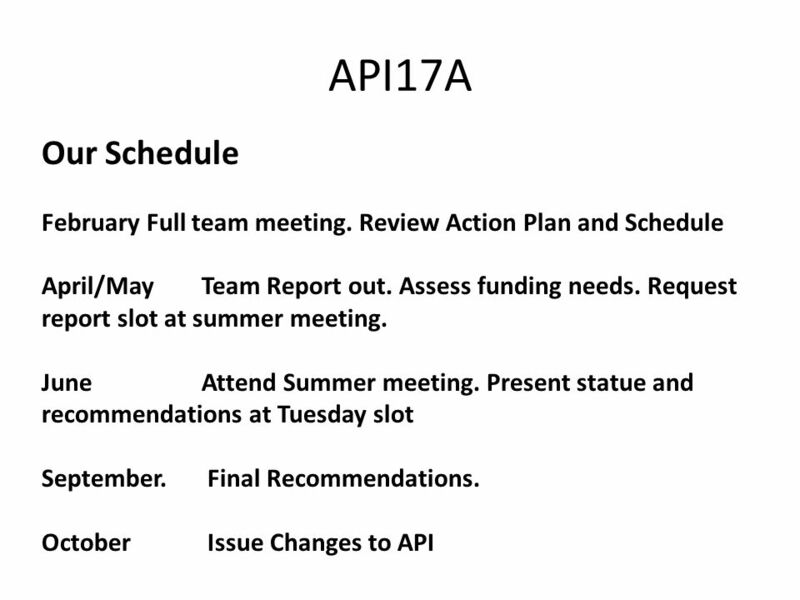 API17A Formation of task groups WE ARE REQUEST ING VOLIUNTEERS FOR EACH TASK GROUP Task Group 1 Overview systems." IB ECONOMIC COMMENTARIES DUE DATES HOMEWORK DUE DATES & FINAL SUBMISSION OF PORTFOLIO DEADLINES. SC 17A Task Force Summer Meeting Presentation June 2013. Guidelines for honors theses for Computer Science, Computer Systems Engineering, and Informatics March 2013. PARCC Progress Update 1 June 26, In the Last Year… 2 June 2012 Minimum Technology Specifications, Version 1.0, Released Item Development Began August. University of Kentucky Campus Physical Development Plan Update. Operating Committee Chair Report Scott Kinney, OC Chair March 25, 2015. Birthday Months By: Cynthia Tran Months in a year? January February March April May June July August September October November December. SELF STUDY: COUNTDOWN TO THE TEAM VISIT MSCHE ANNUAL CONFERENCE – 2009 Debra Klinman.